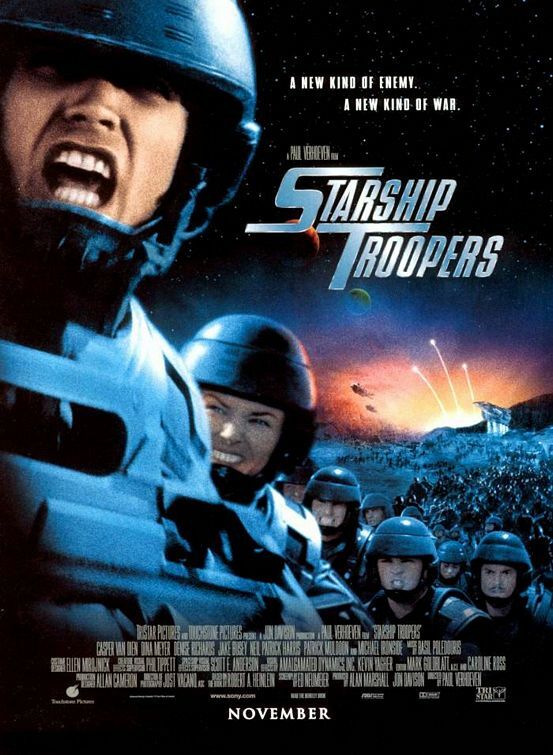 I really really like Starship Troopers. I mean, really really like it. I’ve seen it loads of times, and just writing this makes me want to see it again. I really really like it. Which is strange, because when it came out in the cinema, it was a 15 (I have mentioned this before, here). Luckily, when it was released on video, it was an 18, so I was allowed to watch it. I bought the VHS, and could not believe how bloody amazing the film was (and also how it ever got passed as a 15). It’s literally non-stop from beginning to end.